How much would you say Sonic Forces is worth? The full $40 MSRP? Or perhaps $20? I eventually need to get around to it, I haven't properly played the game yet. What Sonic Team does going forward isn't something that I'm particularly interested in following at that point; rather, if they come out with something halfway decent, I may *possibly* give it a shot if it gets a very hefty sale somewhere down the line. Most important to me is that they've demonstrated they aren't worth putting faith into, so I won't be gambling on any of the future products until I can know with absolutely certainty that I'll enjoy whatever it is that they're putting out. Bless Steam's 2 hour return window; I gave the game (Forces) a shot due solely to that, and quickly discovered how much I disliked the avatar gameplay. I expect that they'll either: A) make another game similar to Forces, or B ) go off on another experimental tangent with something like Lost World. What I'm interested in now more than anything else is how the community proceeds with wonderful fan projects such as S2HD, and Sonic-esque titles such as Freedom Planet. Perhaps Mania wasn't to their liking for whatever reason; but, any publication that can reward a passable score to a game a broken and unfinished as STH06 is one that I seriously doubt will see eye-to-eye with me in terms of what constitutes a quality product. So for me, personally, I'm willing to discount their opinion of Forces, yes. Their score will most likely be an outlier. I can't see IGN or Gamespot being too much kinder, honestly; So I'd imagine thats two more ~4-6/10 scores. I can't comment much into this, as I haven't been keeping up with Forces in a substantial way aside from skimming some posts from here and other websites, in addition to watching Youtube videos of the leaked footage. But, this doesn't set a good precedent for whats to come. As far as Famitsu is concerned, they gave Sonic The Hedgehog (2006) a decent score (30/40), so their opinion doesn't hold much weight with me. Sonic fans, I'm curious. Why do you continue to support the Sonic franchise when SEGA struggles to keep the quality consistent? What's keeping you around? Fan creations coupled with nostalgia are the driving forces behind my continued interest in this franchise. While games like Lost World were only somewhat interesting to me, I've continued to follow projects such as Sonic 2 HD, Sonic World, the Unleashed Project, and various other efforts from fans over the years. Generations modding has been pretty nice. As far as official titles are concerned, Mania was a great release, save for the abundance of returning stages. I don't hold out hope that Sonic Team will deliver something truly spectacular anymore. Ever since Sonic Colors (despite Colors being a well received game from both fans and critics alike), my interest in newer titles has dropped off a fair bit; I'm not entirely disinterested, but its difficult for me to get properly hyped up for new releases. I'm not going to swear off ever buying new Sonic games, as I grew up with Sonic. So long as they're still making new content with him in it, I'll probably look on with at least somewhat of a passing interest. But, I don't plan on dropping the cash for his games on day one anymore. I actually do take stock in professional reviews now, and I look around the internet to see what fans are saying as well. 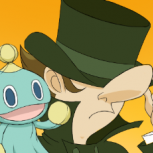 I'm not even particularly bothered by spoiling Forces for myself with all these recent leaks; I feel like I need to know whats going to be in that game, because I simply can't trust Sonic Team enough anymore to pay full price otherwise. There's 83 pages of this at this point, so I hope you all won't mind if I ask this as opposed to reading them all: So, is the game a complete bomb, then? Is it worth the money, in your opinion? What's the verdict? 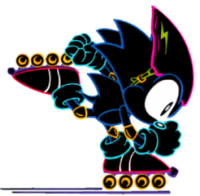 I want Forces for the mods, at the very least. I'm honestly a little torn; The game will feature the best graphics the series has had to date thanks to the version of HE its running not being cut down like Generations and (especially) lost world were. Modern Sonic gameplay is bound to be fun, and the story looks at least somewhat interesting. 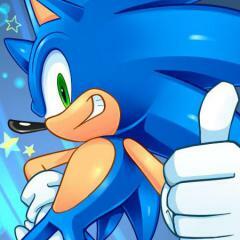 But, then there's Classic Sonic, and his lack of momentum/half-baked physics. There's the returning stages for the 1000th time, and a new gameplay mode that I'm not sure about just yet. 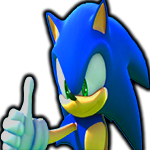 And there's also Denuvo in the PC release; At this point, I'm not sure what that means for potential mods (Mania seems to be doing well enough for itself at the moment in that department), but if it hinders the modding community in any way, I'm going to be less than pleased. It comes down to this: Right now, I can say for certain that I want 1/3rd of this game for the gameplay, even if I'm not at all interested in Green Hill or Chemical Plant. Whether or not I can get $40 of entertainment out of Forces remains to be seen, but I'm strongly leaning towards "I can't". I'll probably get it on sale. There's simply too much other great stuff coming out right now for me to gamble $40 on Forces; A Hat in Time needs my cash. SSMB not working that well these days. It's been rather glitchy for me for a very long time, so much so that its discouraged me from contributing to discussions here often. Many times when I attempt to move a page forward in a thread, I either get a totally white screen with nothing, or an ad. I have to resend the link (not just refresh, but resend) in order to get to the next page. So, if there's 10 pages and I start on page 1, I'm potentially doing this up to 9 times if I want to read the entire thread. This doesn't happen on any other place I visit that uses the same software. In addition, the quick reply box at the bottom of the page often takes a very long time to load, and I can't begin posting until it does. Status updates on the main page are similar, and I sometimes get tired of waiting, so I just skip out on using it. Here recently, I've had issues similar to the OP; Earlier today I attempted to post in an existing thread. The quick reply box took forever to load, per usual, and when it finally did and it submitted what I wrote, it put the same post twice in one reply. I had to go in and edit out the duplicate. I'm a guy who has never really been a fan of this franchise before. I've only seen two episodes of the show, and they were early episodes (one about Pinkie cloning herself, another about one of the little ponies' cousins from out of town coming to visit. Something apple, bad apple, whatever). So, one of my friends who does like the show decided he was gonna go see it; We all dogpiled on the chance to go see the movie ironically, kinda how somebody would go see The Emoji Movie. For kicks, in other words, to see how many people we could actually get to agree to go in the first place, and who could tolerate the movie the longest without walking out. We had a "no phone challenge" to see who could go the longest without ignoring the movie. Color me surprised to say that I didn't think that the thing was actually all that bad. I think I liked it a great deal more than the reviewers seemed to have (IGN gave it a score lower than The Emoji Movie, but it's lolIGN, and few people around these parts care what they think). The little opening cartoon before the movie was pretty cool. But yeah, it was fairly okay. I think I'm alright with parting with $9 to have seen the film. It was certainly really happy and colorful and in a lot of parts, which is a breath of fresh air in this day and age. A friend of mine pointed out a lot of issues with it; Namely that Discord could've just waltzed in and saved everything, but I mean, hey. I didn't know that while watching, so I suppose I'm alright. Oh no. The dude who hates anime is back, lol. The ending itself is an easter egg; Not sure if its level ID being 91 has any significance. Ran through all the levels using the cheat table. Here's a list of level ID's that I've gathered together. More good news: The new patch has now reportedly also been cracked. It took 7 hours from what I've heard. Don't know where the actual patch file is atm. Located crack. Appears to be a small patch file that removes Denuvo for people who already own the game, as opposed to distributing the entire game itself (The "crack" for SADX back in the day was the entire game stripped of DRM/anti-piracy measures/disc-check or whatever, IIRC). SEGA has kinda earned themselves the widespread distribution of said crack. Won't feel sorry for them.